Here're this years Summer shades from ILNP. They have 2 collections, one of them is full of jellies with holo flakies and the other (this one) has a great variation of finishes. You can find the blog post about the Summer Jellies HERE. The Summer Jellies collection has 7 bright, juicy holo polishes with jelly bases. To be honest, this is not my favorit finish (I mean the jelly part), because 3 coats (or even 4) is a little bit too much for some busier days. Sure, those holo flakies need a little bit of sheerer base to show up nicely, and most of the times I'm totally willing to pay the extra coats, but I also know a lot of people who wouldn't buy a polish that needs 3+ coats. You can find the other collections swatches, called Summer 2017 here. 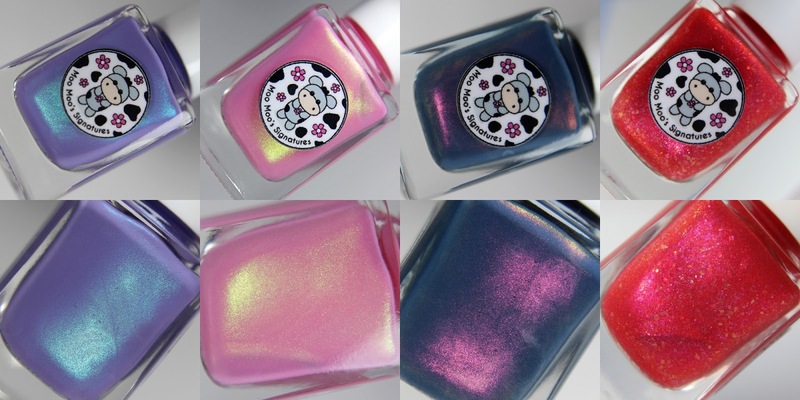 I have swatches of three Moo Moo's Signatures shimmer shades that are new additions to the Shimmer Paradise collection, and also another polish, that is not under any collection, but is also new. 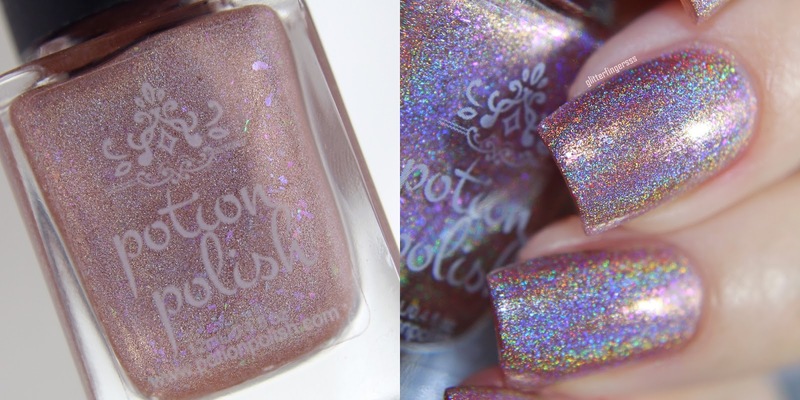 Today I will show you swatches of the first ever Potion Of The Month polish from Potion Polish. Bliss is the color for May, and it's already available on their site! A got this red and blue micro/nanoglitter from Born Pretty Store to review. The blue glitter is holographic, but the red is just metallic. illimité is a brand, that was created by the Live.Love.Polish team, so they are only available through livelovepolish.com! Their first collection was inspired by romanticism, and there are 6 shades in the line. There are a wide variety of finishes, so everyone can find something to like.